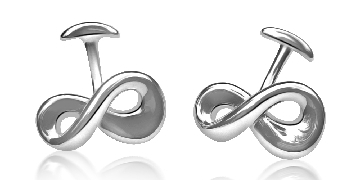 Cufflinks - Alfred & Co. Jewellery supply a wide range of different styles of cufflinks. Whether you"re looking for novelty cufflinks, sports cufflinks or sterling silver cufflinks you will find your ideal cufflink style with Alfred & Co. Jewellery. Silver Bangles - whether you are looking for mens silver bangles, ladies silver bangles or sterling silver bangles, Alfred & Co. Jewellery have a wide range of stylish bangle designs. 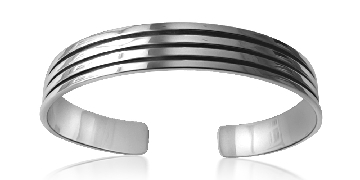 You will also be able to find mens silver bracelets and ladies silver bracelets styles. Necklaces - Alfred & Co. Jewellery supply a wide range of necklace styles depending on your requirements. 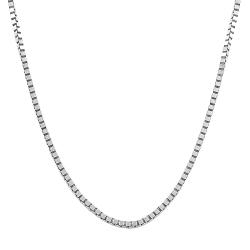 Whether you are looking for mens silver chains, ladies silver necklaces, sterling silver chains, or sterling silver necklaces. Magnetic Bracelets - We all know the health benefits which come with wearing magnetic bracelets. There are a wide range of magnetic bracelets and magnetic bangles to choose from at Alfred & Co. Jewellery. Pocket Squares - If you"re looking for pocket squares or silk pocket squares, Alfred & Co. Jewellery have a wide selection of on trend stylish designs to choose from. All Alfred & Co. Jewellery comes with a luxury jewellery gift box as well as a free delivery option. If you are looking for jewellery online, then visit Alfred & Co. Jewellery today today. UK based business - established in 1994 - providing jewellery for sale. Website includes e-commerce facilities, delivery and returns information, blog, testimonials, contact details including company registration number.